The other day I wrote an article about the many unique flavors of Pepsi. 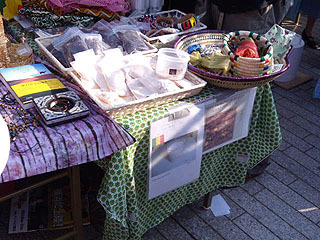 This year’s flavor is baobab, a tree often associated with South Africa. It sounds very unusual for a drink ingredient, doesn’t it? 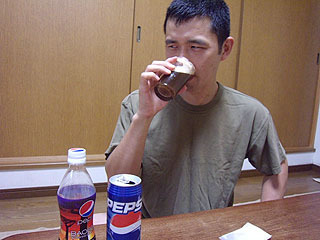 As I mentioned in the previous article, this Pepsi doesn’t actually contain the baobab fruit itself. 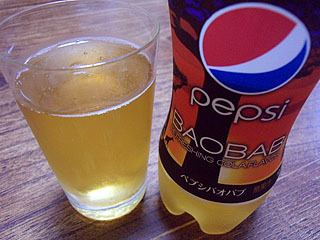 Pepsi Baobab on the market just tastes like ginger and citrus. Now, I wonder what “real baobab” tastes like. 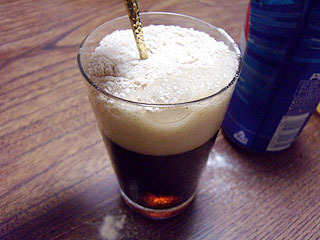 In this episode, one blogger ventures to make Pepsi with genuine baobab. 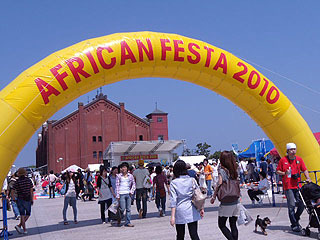 At first, he pays a visit to African Festa 2010 to get the necessary ingredient; baobab fruit. Wow! 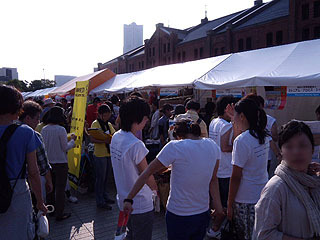 It’s very crowded. 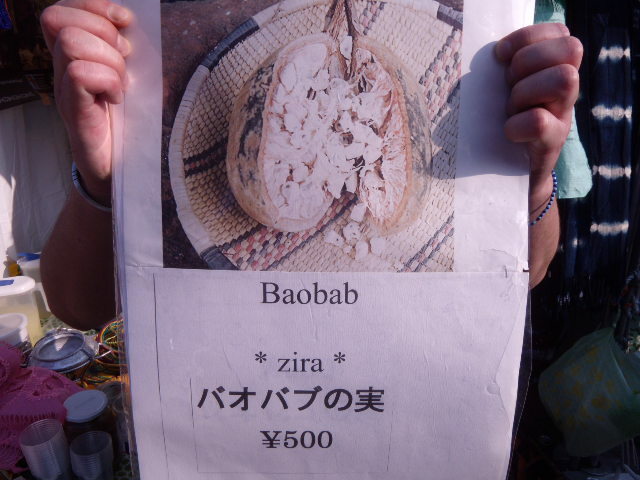 Where is the baobab? 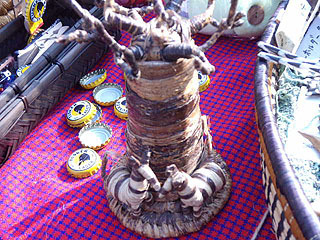 This is a baobab-tree shaped sculpture. Oh! Those white things might be…? Yes! This is a baobab fruit. 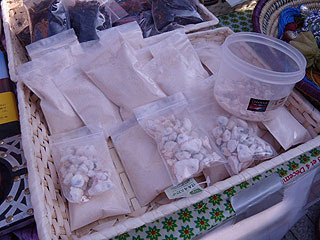 Solid ones and powdered ones are available. This guy is today’s challenger. 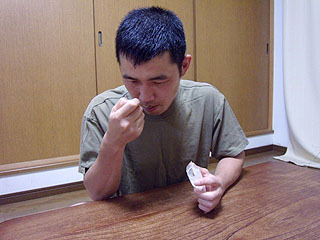 He samples a spoonful powdered baobab. How does it taste? Umm…….powdery, woody, kind of sweet, but also a little sour. The flavor is not especially strong. 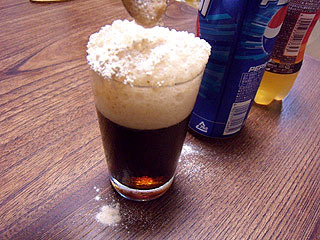 OK. Let’s mix the powered baobab with regular Pepsi. Oh my god! What’s going on? It’s flooding out! Erupting! 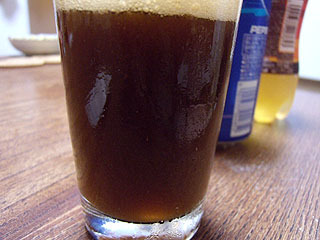 The dark color of regular Pepsi seems to turn a little lighter? 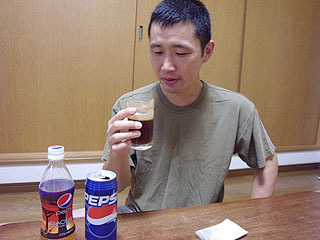 Now, he tries his own “Pepsi with real baobab”. 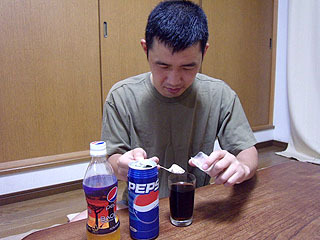 Surprisingly, it seems like he is enjoying his concoction! 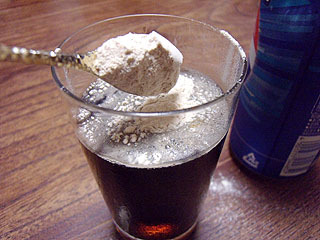 Baobab powder is usually mixed with milk and some sugar. 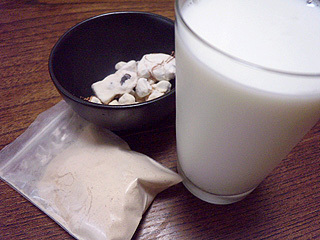 It is said that baobab milk is tasty, just like one of the many lactic acid drinks available in Japan. If you find baobab powder somewhere, you should try it. (^^).